Hello friends and future friends. I know this is long past due, but all my things have been packed away and I had an across country move. I still am functioning with only a few of my belongings so I won't be able to do as thorough as a summary as I normally do, but I didn't want to delay the summary any longer. I'll try to have episodes 15 and 16 summarized by tomorrow. When we left off Won had asked Ha Na to find him. Well, she did. 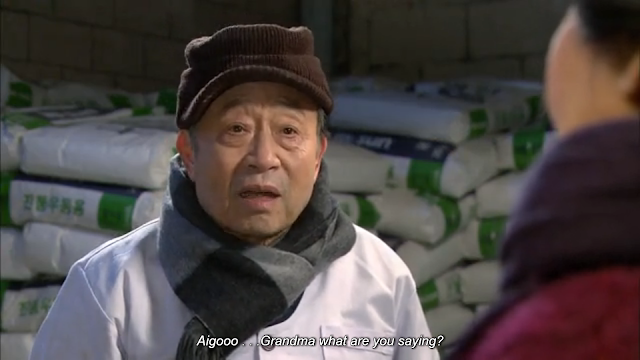 She tells him she broke up with Seo Hoo and that she needs time. She goes home and tells her family that she broke up with Seo Hoo and they're happy to hear it and believe it's a sign of maturity. She cleans her room, which is unlike her, but otherwise Ha Na takes the break up pretty well. Dae Bok shares his concerns about the impending seriousness of his relationship with Manager Hong and Won encourages him to re-explore his talent in drawing and make a career out of it. Dae Bok seems to like this idea. Ha Na confesses to Won that she wanted to run to him right away after learning the reason he said he'd never love her, but didn't because she didn't understand her feelings for him. She tells him she doesn't feel crazy and out-of-control when she thinks about him, but can't say that she thinks of him just as a friend either. He says they should figure it out together. Ha Na gets offered a position working in Paris for a year. She's torn, but Won encourages her, saying it will be a good opportunity. So Ha Na says yes to the position until she finds out that Seo Hoo was the one that recommended her for the position. Meanwhile, Won has taken a training role in Paris for 3 months because he wants to be around Ha Na as much as he can. Ha Na turns down the position in Paris and waits for Won to return from his flight to tell him, only to find out that he's accepted the training position and is on his way to the airport to go to Paris. He's left her a note asking if she wants to right the next scenario continuing the script that is their story together. Ha Na rushes to the airport to stop Won. She tries calling him, but gets no answer. Won is on his way to board a plane when he sees that he has 17 missed calls from Ha Na. He immediately turns around and calls her back. She tells him she's at the airport and he says he'll come find her. She sees him run past her so she takes out the whistle he gave and blow it to get his attention. He comes running toward her and she tells him she knows how she wants to write the scenario. She kisses him gently and tells him "I like you". He's come to his sense and kisses her quite passionately and they have a full make-out session in the middle of the airport and that's where our episode ends. My thoughts: I was kind of disappointed she didn't just run to Won and take him in her arms as soon as he called her out, but she did need a transition period after breaking up with Seo Hoo. I was also really upset when I thought she was going to take the job in Paris. They were finally confessing their feelings and starting a relationship and she was going to leave for a whole year? That's Kdrama relationship murder. But I love that she went into sort of a panic, thinking he was going to leave without her telling him how she felt because it made the need more urgent. And that kiss! That was a great kiss and it was about time! Only a couple more episodes left in this drama. Make sure to catch up on the previous recaps and DramaClubs to catch up with what's been going on and to see what else we have to say about these episodes on this drama's homepage. Until next time drama on! Aren't you anxious to talk about what's going to happen next in The Time That I Loved You, 7000 Days, friends and future friends? When we left off, Ha Na had just discovered the reason Won swore to never love her ( a pretty legitimate reason) and Seo Hoo had left for a business trip with his boss and more than likely ex-lover even after Ha Na told him it would be the end. As always we take a few steps back. As Ha Na reads Won's play, entitled Summer Days, it recounts many of the encounters that she and Won had during their days in high school from the time they accidentally kissed in the library (which she remembers fondly) to the time he told her that he'd never love her (which is turns out made her sob). She reads through the end and finds out about Won's friend, Dae Yoon, being in love with her and Won's guilt over not giving her the letters after he died. She comes out of work and Won is there waiting for her. They go together to the park and have a very mature relationship about the status of their relationship. Won explains more about shamed by his friend and his own guilt causing him to say he'd never love her. And she in turn explains that it really hurt her and she was scarred by those words. I can't lie, I was hoping she'd run right into his arms after reading that play but it wasn't exactly a negative reaction. It seems as though she's finally opened up her heart to Won and now their relationship is going to blossom. We see Seo Hoo at the airport about to get on the plane when he stops and tells Director Satan (Director Min) that he's not going, even though he knows it'll probably end his career. I am impressed that Seo Hoo chose not to go. Although, the fact that he even considered going in the first place probably caused a lot of damage to his relationship. Still, it's showing that he is in fact growing as a person as well. Ha Na meets up with Na Young and Jung Mi and discusses her relationships with Seo Hoo and Won honestly. 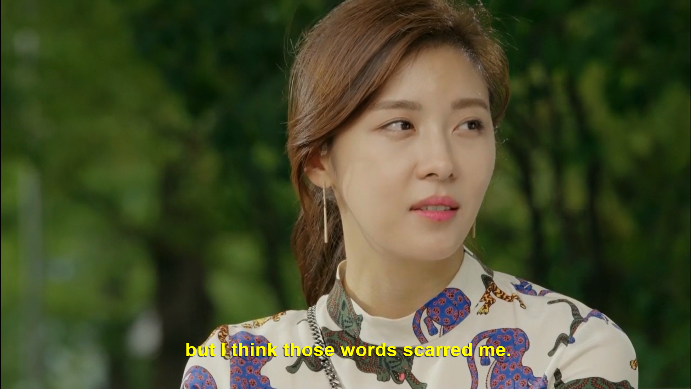 She tells them about how Seo Hoo chose to left and more than that, the way he was acting changed the way she felt about him; she lost the passion he had caused. As far as Won, she doesn't deny her feelings, but she says that she has to be careful considering the preciousness of their friendship. Afterward she goes to the batting cages, where Won ends up as well. They realize how often they run into each other, because they share the same familiar locations. They make a bet for one week, that they'll avoid the places they always go and see if they still run into each other to see if it's out of habit or essentially fate. A few days later Won is having a birthday dinner with his co-workers including So Eun and his other friends send him messages. Ha Na has completely lost track of days and forgot that it was Won's birthday. She asks the horrible witch design team leader for some leather and stays late at work to hand-stitch him a gift. After Won's done drinking with his co-workers he walks with So Eun a bit before she gets a cab. She talks about she gave up trying to win him over, because she doesn't want to waste her life liking someone who doesn't like her. I was impressed to hear this from So Eun who just couldn't take a hint earlier. I think she was just blinded by love, but when she came to her senses she realized her behavior and now I think she could actually be a good friend to Won. Won seems a little bummed out that the day's passed and he didn't receive any message from Ha Na, even though all of his other high school friends sent him well wishes. Bummed, that is, until he goes outside in the morning and sees that she left him a present. He opens it to find the hand-stitched passport holder she made for him that even has his name embroidered. The look on his face tells you all that you need to know about how incredibly happy he is to receive a gift like that from her. They run into each other that night on their way home and realize that even without going to the same familiar places, they still run into each other. They go to their hideout where Ha Na has a happy birthday banner and they share food. It's nice to see them back at the hideout, it's where Ha Na was always the happiest and it's been too long since we've seen them there. We see a flashback to Ha Na and Won celebrating his birthday years earlier. Ha Na made him a shirt and tried to put his English nickname "Loney" on it, but instead writes "Lonely", which makes Won laugh. She prepares a few other things that area all disasters too, but it doesn't matter because Won loves them regardless. 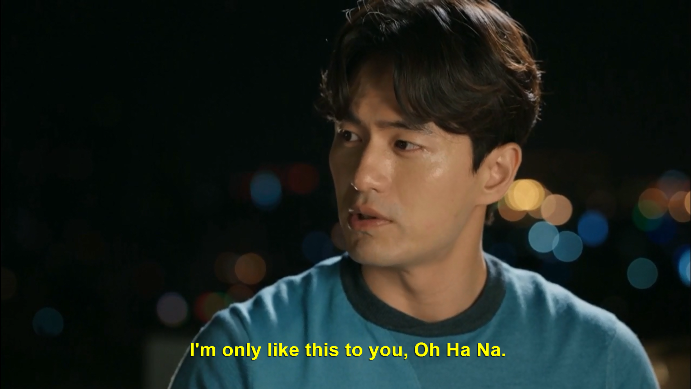 Back to present day, Ha Na asks Won if he's always that nice and thoughtful of everyone, but he admits to her that he's only like that with her. She seems completely shocked. I don't know how she's completely shocked. She's known the man for 17 years, better than anyone else. Has she never noticed how he treats other people? Then again, the two are kind of in their own bubble when they're together. Seo Hoo shows up at Ha Na's office and tells her director that the concert is back on. 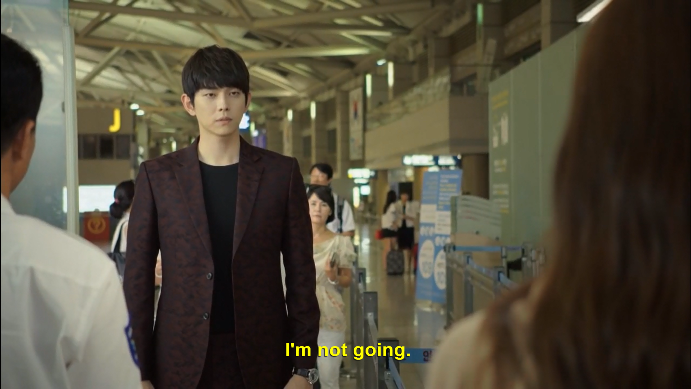 He goes to see Ha Na in her office and she is not at all happy to see him. He tells her he didn't get on the plane and that there's nothing going on with him and Direcotr Satan and reiterates that they should get married. She asks if she's just supposed to wait for him every time that he leaves and he can't give her a good answer. So if Seo Hoo never got on the plane, where was he for three days? If he really chose Ha Na over his career, why didn't he go running straight to Ha Na? I don't get this guy at all. Meanwhile, Dae Bok's girlfriend, Eun Jung says she wants to get married soon which has him seriously thinking about his future and career. Mi Hyang and Jong Hoon also go on a date. It's cute that even though they have opposite interests, they still seem to get along quite well because they are both willing to adjust to the other one. Ha Na gets a call from Na Young who is sick so Ha Na goes with her to the hospital. She has to have surgery so Ha Na stays there overnight with her and through her surgery the next morning since she doesn't have anything she needs to be at work for until an afternoon meeting. Or so she thinks. While Na Young's surgery Seo Hoo tries to get ahold of Ha Na because they moved the time of the meeting. Ha Na doesn't get to work until after the meeting has taken place and Seo Hoo gets super mad at her without even asking her why she didn't answer her call. This seems ridiculous. Why did they reschedule the meeting without consulting Ha Na, who is supposed to be the lead person in charge. And how can he dare get mad that she wasn't there, when they are the ones who changed the time on the same day. Ha Na goes home exhausted and Won calls her. She tells him that she's so tired she wishes she had someone to remove her make-up for her. So, lo and behold, Won comes over and removes her make-up for her gently. It's probably the most romantic scene to ever happen in a Kdrama from a woman's point of view. Men probably have no idea how many points Won gained by doing that. The next day Ha Na breaks up with Seo Hoo! Yes!!!! Thank you, Ha Na! It's about frickin' time. Sure, he's not very happy but she made a good desicion. He was not good to her and they just weren't good together to be honest. Later, Seo Hoo shows up at the outdoor stage where his benefit performance is going to be and starts playing to gather a crowd with the intention to get attention from Ha Na. While he's doing that Won texts Ha Na. He tells her that he has started working on the script again and recounts to her how he'll always be there for her. Then he asks her to come and find him. And that's where our episode ends! Please go to him, Ha Na, please! You guys will be perfect again. Well, looks like we'll have to wait until the next episode to find out whether she goes to him or not. 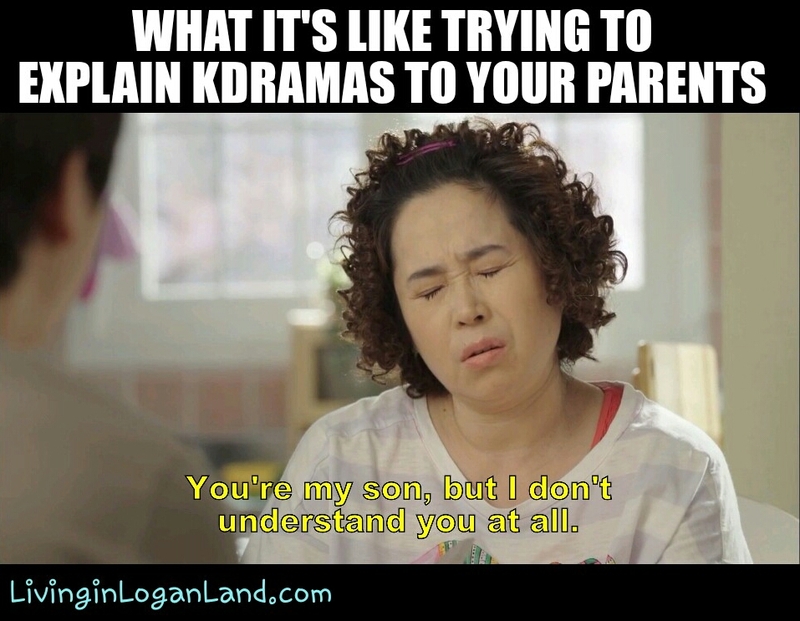 While you're waiting you can catch up on the rest of the series below as well as our Drama Club post on DramaFever. Drama on, my dear friends, drama on!